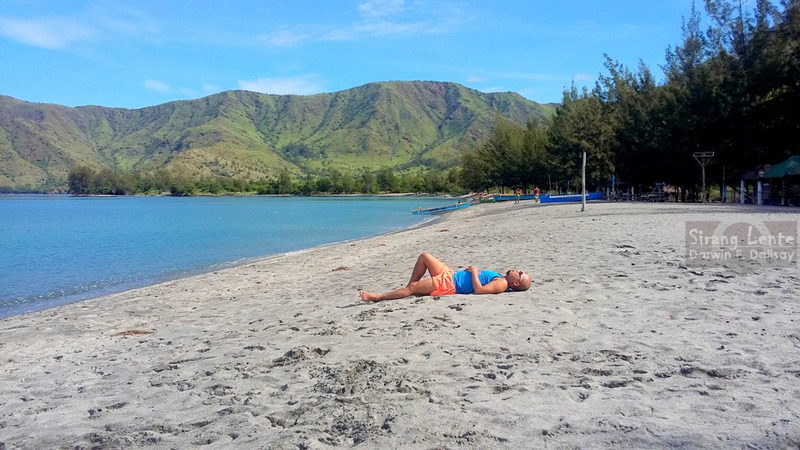 Silanguin Cove is one of the isolated beaches situated in the province of Zambales, 3-4 hours land travel from Manila. 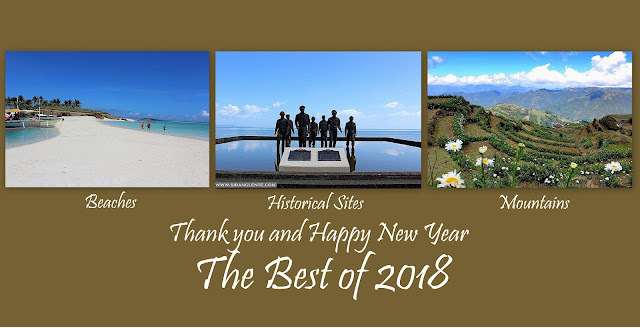 Since the province is facing the West Philippine Sea, it is known for its gorgeous fine white or grayish beaches with the amazing slopes of the mountains on the background such as Crystal Beach, Anawangin, Talisayin and Nagsasa Cove. Who doesn't know about the Scarborough Shoal, it is just few kilometers from here. The travel from Brgy. Pundaquit, the jump off, to Silanguin Cove took us more than an hour boat ride. It was full of fun because of the spectacular mountains, towering limestone cliffs and different rock formations by the crystal clear waters. Upon our arrival at Silanguin, we were greeted by the sun-drenched beach with breathtaking beauty and our foods were already been set up by the first group. Before the sun sets, we already prepared everything but watching the blue skies, the crystal clear water lit by the natural sunlight and feel the tranquility of the fresh air was remarkable. When the dark came, it's a sign for our socials. Since it is very seldom that we gather everyone and a do chit-chat, this time we had the whole night filled with slaughters, stories and created new memories. Games, foods and a few bottles were served. When I woke up at 4:30 AM and went out of our tent because my attention was captured by the golden skies, with the shape of the mountains from afar and the sound of the waves splashing on the shore were relaxing. Grabbed my camera and took a picture. 6:30 AM we walked more than a kilometer on the shore to take gorgeous images and enjoy the calmness of the cove. The locals friendly dogs joined us walking and spent more time sitting on the sand to catch a glimpse of the spectacular flying fish but my shutter is slower that them. Having said that, I thought this part of Zambales has a rich marine bio-diversity that serves as the sanctuary of underwater flora and fauna. The fine sand also serves as the paradise of the crustaceans, sea shells and more sea shells, sea shells by the sea shore. Thanks to Gerald of Pivot Base, our printing sponsor. Batang Hamog Mountaineers is now on the Seventh Year. "Seven Years of friendship. Seven Years of Standing after Challenges." Sa mga nagbigay ng oras sa anibersaryong ito, maraming salamat. Sa mga hindi nakasama dahil sa mga personal commitments, marami pa naman tayong taong bubunuin at hindi magtatapos sa taunang anibersaryo ang ating walang sawang pagkakaibigan at pagtutulungan. After enjoying the natures beauty of Silanguin Cove, we passed by the ancestral house of Ramon Magsaysay, former President of the Republic of the Philippines. The exterior side of the house is painted with the combination of relaxing shade of green and white. The modern color can't hide the age of the house because of the design, from the columns and the walls. More photos on Ramon Magsaysay Ancestral House post. For backpackers, don't forget to bring your drinking water, food, insect repellent lotion and your personal needs. No sari-sari store. No cellular signal. No electricity. Clean comfort and shower rooms are available with unlimited water. There are package being offered by few organizers. For bangkero contact number, please email me: darwinfdalisay@gmail.com. At Victory Liner EDSA, we rode in a bus bound for Iba, Zambles and alighted in San Antonio, in front of the municipal hall. Bus Fare: 298 pesos. Travel Time: 3-4 hours. In front of the municipal hall there are tricycles that can be chartered to Pundaquit, the jump off. Tricycle Fare: 30 pesos per head. Travel Time: 15 minutes. At Brgy. Pundaquit, we paid the 20 pesos environmental fee and met our contact bangkero. Travel Time from Pundaquit to Silanguin is more than an hour passing by Anawangin, Talisayin and Nagsasa Coves.